IOX2 is a GLP compliant software that allows researchers to acquire, analyze, view, and store data generated during an experiment. At the heart of IOX2 is a library of application-specific analysis modules for real-time signal processing. All modules are derived from algorithms widely accepted and validated by the life science research community. 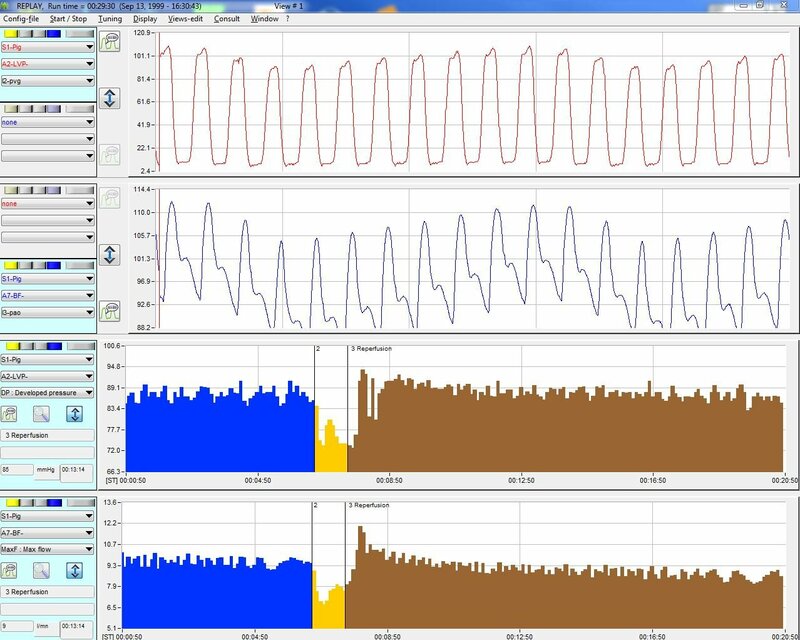 Universal, IOX software handles cardiovascular, respiratory, neurological, electrophysiology & in-vitro data. Its video module allows video recording, synchronized to biological signal. GLP modules can be added to provide full GLP compliance. 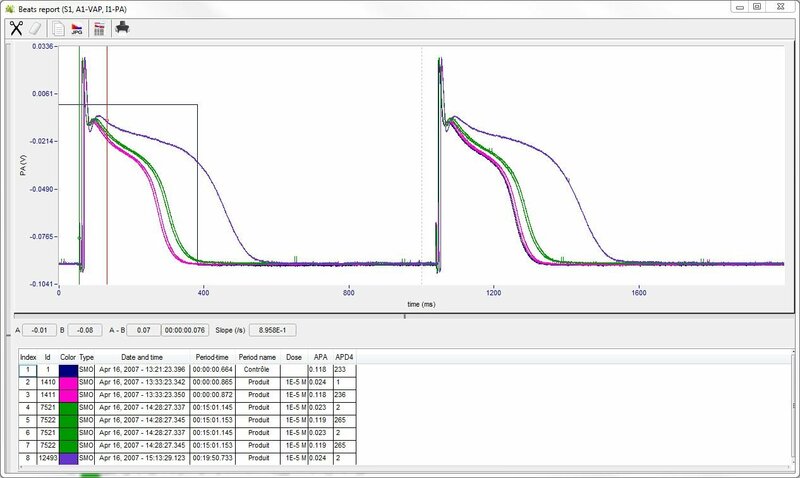 For each channel, an analysis module processes your data at a rate of 10 to 50,000 samples / second, to produce a list of predefined parameters. Temperature, onset of fever, acceleration, etc. A single file per subject is produced, which not only contains the raw data and the calculated data points, but also the complete copy of all settings, calibration values, etc. This is a major advantage when having to comply with 21 CFR part 11. IOX2 data files load into emka TECHNOLOGIES software suite (datanalyst, ecgAUTO, studyDESIGNER), Microsoft Excel, Microsoft Access…and can directly transfer flow of data to your LIMS.